We’ve met with Amy Yersavich of the EPA and have submitted paperwork with Waggenbrenner Development to get 4th Street Farms lot priority testing for contaminants. We are not sure when that test will happen, but do want to assure everyone that we have no intention of using the soil at 4th Street to grow food. We are committed to doing raised beds and that will largely address issues of potential heavy metals and our desire to be organic. We also have a list of best practices from the EPA on working on the lot no matter what is in the soil and have partnered with the Friends of the Lower Olentangy Watershed to not only manage the water and soil on the property but also have submitted a grant to the Left Tilt Fund to help us grow this garden in connection with the environmental and social justice issues we see in Weinland Park. 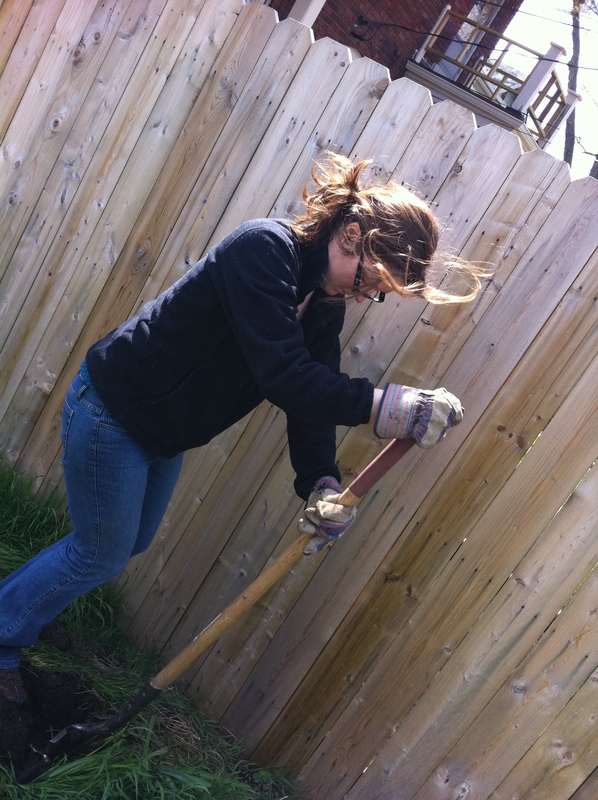 We’ve been working on the property and were able to plant some flowers in the front, clear the burdock, pick up brush, take down dangerous fencing, and build a compost pile out of untreated pallet wood. The Waggenbrenners have generously agreed to help us level the land with heavy equipment as well as help move the shed and other heavy elements like soil from the closing 6th Street Community Garden. 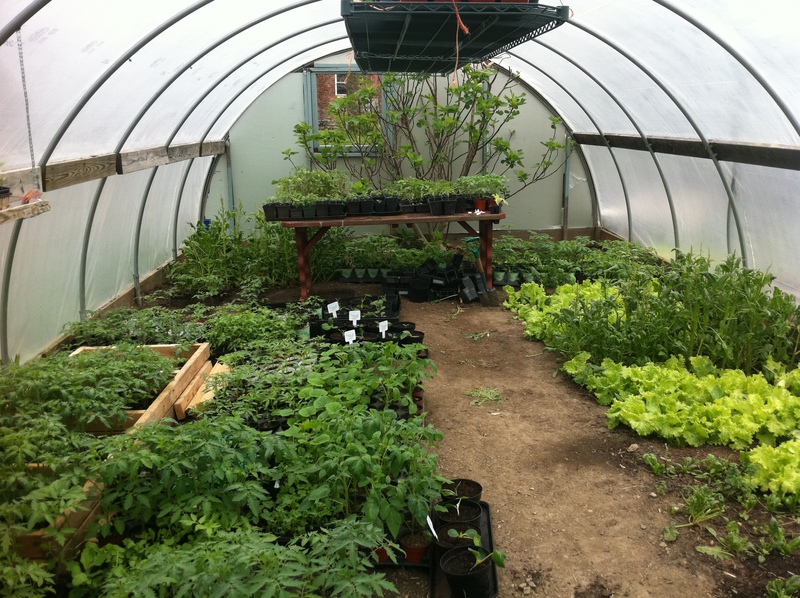 Due to rain and other planning issues, this is unlikely to happen in time for Roots and Roofs, May 7th 10-2, which is a community gardening and beautification day kicking off at the Godman Guild. In addition to working directly on the 4th Street location, we have also been busy learning about other community gardens. Here is a picture from 4 Seasons City Farms on Bryden Road in the middle of April. Look at those luscious plants! We’ve attended New Harvest Cafe’s “Know Your Farmer, Know Your Food,” OSU Net Impact’s “What is Sustainable Food?,” Eartha Limited‘s “Healthy Living, Healthy Environment, and Franklin Park Conservatories‘ “Gardening 101 at the Guild,” amongst other conversations, research, and listening to our neighbors as we seek input into what 4th Street can do. 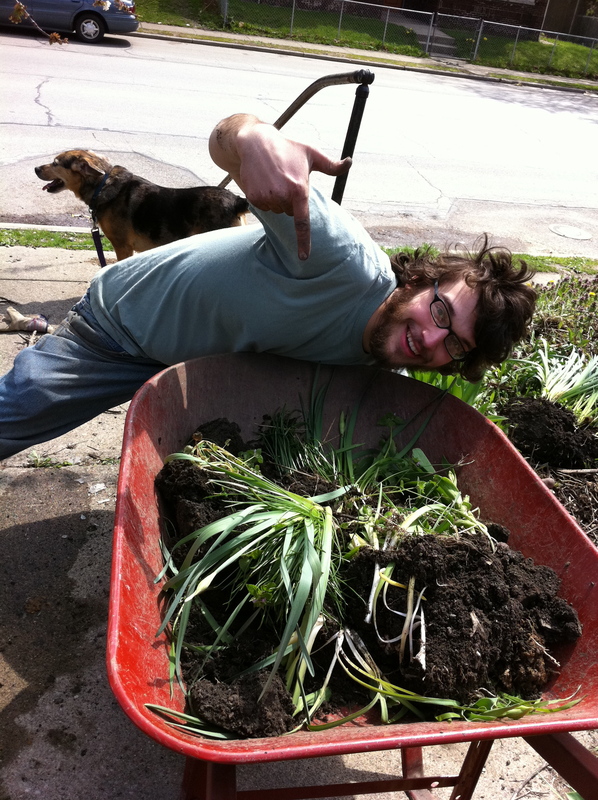 Elijah and Shakti think compost is cool! Along the way we are meeting so many wonderful people in and around Weinland Park who come literally up out of the woodwork. Everyday we get to listen, learn, and live in greater connection to our community. 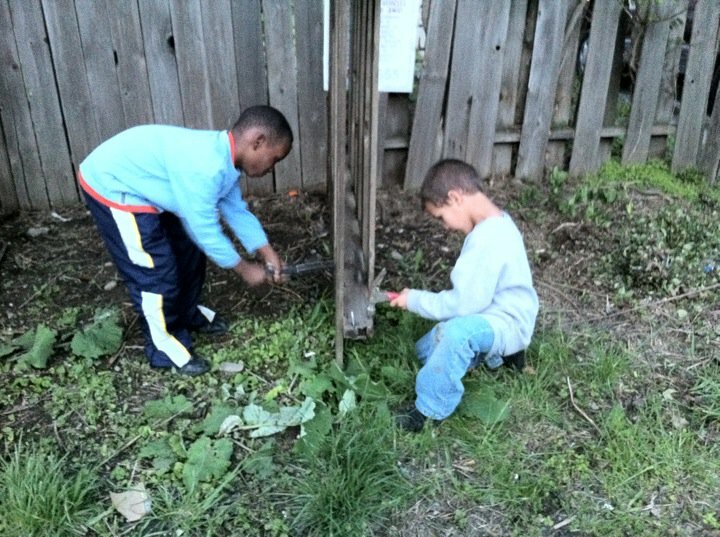 Here are 2 amazingly smart kids that helped build compost bins at the back of 4th Street Farms. These are baby steps moving us on a great journey. And it’s awesome to have Elijah and Shaki there eager to learn how to use a hammer and hungry to help.